Why Doesn't Gmail Work On My iPhone? Here's The Fix! 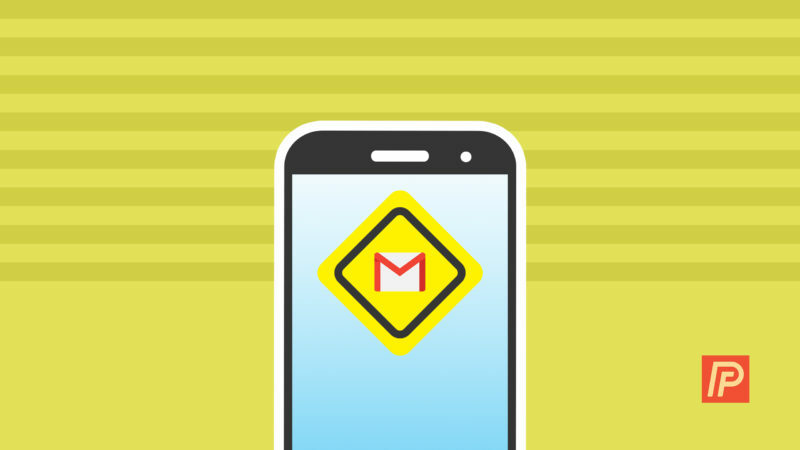 You are at:Home»iPhone»Mail»Why Doesn’t Gmail Work On My iPhone? Here’s The Fix! You’re positive you’re entering your Gmail password correctly, but your email won’t load on your iPhone or iPad. Or maybe Gmail was working on your iPhone, but now you’re on vacation and it suddenly stopped. In this article, I’ll explain why Gmail doesn’t work on your iPhone or iPad, and how to fix the problem so your email loads in the Mail app. Security is one of the biggest concerns nowadays for companies and consumers alike. Companies don’t want to get sued, and consumers don’t want to have their personal information stolen. Unfortunately, when security becomes too tight and no explanations are given, many people find themselves locked out of her own accounts. 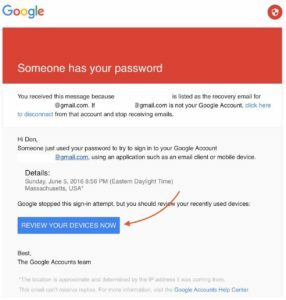 Google saw that he was trying to connect from a new location and blocked the sign-in attempt because it assumed that someone was trying to hack into his email account. My dad didn’t even know that was a possibility, but Apple Store employees see it happen all the time. Even if you’re not on vacation, Gmail can block sign-in attempts for all sorts of reasons. We need to visit the Gmail website to get a better idea of what’s going on, because the Mail app on your iPhone or iPad can’t give you any details about why you can’t sign in. Use a computer if you can (it’s easier to navigate the Gmail website with a larger screen), but this process will work on iPhone and iPad too. Open Safari, Chrome, or another internet browser, go to gmail.com, and enter your email address and password. If you’re using an iPhone, you may see a popup that asks you to download an app—but now’s not the time. Tap the tiny “mobile Gmail site” link at the bottom of the screen. After you log in, look for an alert box or email in your inbox that says something like, “Someone has your password” or “We blocked a sign-in attempt.” If you a box or email like that, click on the link inside called “Review Your Devices Now”, “That Was Me”, or similar—the exact language changes often. 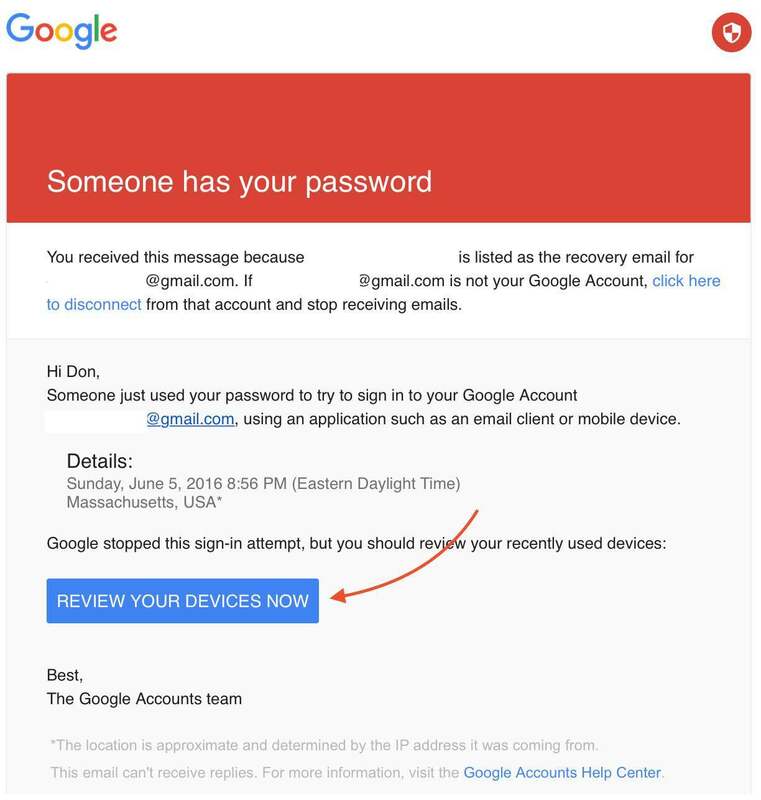 After you tell Google that it was indeed you who tried to sign in to your account, your email should begin to load on your iPhone or iPad. If it doesn’t, read on. Gmail has a little-known fix called a CAPTCHA reset that momentarily unlocks some of Google’s security features to allow new devices to connect to Gmail. I learned about it when I worked at the Apple Store, and I don’t know how anyone could know it exists without the benefit of really nerdy friends. I’m happy to be able to share it with you. To do the CAPTCHA reset, visit Google’s CAPTCHA reset page and log in with your username and password. Next, try signing into your Gmail account on your iPhone or iPad. This time, the sign-in attempt should work, and Google will remember your device so you shouldn’t run into problems moving forward. Another reason why Gmail may not be working on your iPhone or iPad is that IMAP (the technology Gmail uses to deliver mail to your device) may be disabled in Gmail’s settings. If IMAP is turned off on Gmail.com, you won’t be able to get your email from the server. To learn how to turn on IMAP for Gmail, check out my short article called How Do I Enable IMAP for Gmail On iPhone, iPad, & Computer?, and then come back here to finish up. The process is a little tricky, especially on iPhone, so I made a step-by-step guide with pictures to help. If you’re able to login on Gmail.com without any problems, you verified that your device isn’t being blocked in device activity and notifications, you’ve done the CAPTCHA reset, and you’re sure that IMAP is enabled, it’s time to try the modern version of the “unplug it and plug it back in” solution: Remove your Gmail account from your iPhone entirely and then set it up again. In most cases, all of a person’s email is stored on the Gmail servers. That means that when you remove your Gmail account from your iPhone, you’re not deleting anything from the server itself, and when you set up your account again, all of your email, contacts, and notes will come right back. 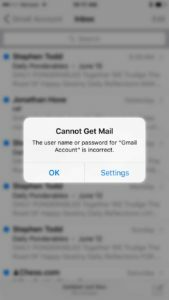 Just to be safe, log into gmail.com before you delete your Gmail account from your iPhone and make sure all of your email is there. If you see the mail on the web interface, it’s on the server. If you don’t see your mail on gmail.com, I recommend you skip this step for now. 99% of people reading this will see their email can take this step safely. 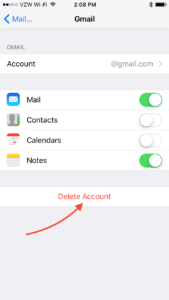 To remove your Gmail account from your iPhone or iPad, go to Settings -> Mail, Contacts, Calendars, tap on your Gmail account, tap Delete Account, and tap Delete from my iPhone. Next, go back to Settings -> Mail, Contacts, Calendars, tap Add Account…, tap Google, and enter your account information. Gmail is working again on your iPhone or iPad and you can send and receive email using the Mail app. If you’ve noticed your battery has been draining too, one of the biggest reasons is “Push Mail”, which I explain how to optimize in step #1 in my article about how to save iPhone battery life. This is one of those tricky problems that affects a lot of people, and now that you know the answer, give them a hand if you see that Gmail doesn’t work on their iPhone or iPad. If you’d like to leave a comment, I’d like to hear about which step fixed this problem for you. 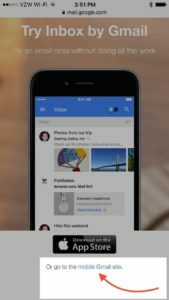 Previous ArticleHow Do I Enable IMAP for Gmail On iPhone, iPad, & Computer? The Fix! Next Article The Fastest WordPress Hosting Setup In 2016, For Cheap!